The Martian - a movie that was nominated best pictures for the Academy Awards / Oscars 2016. 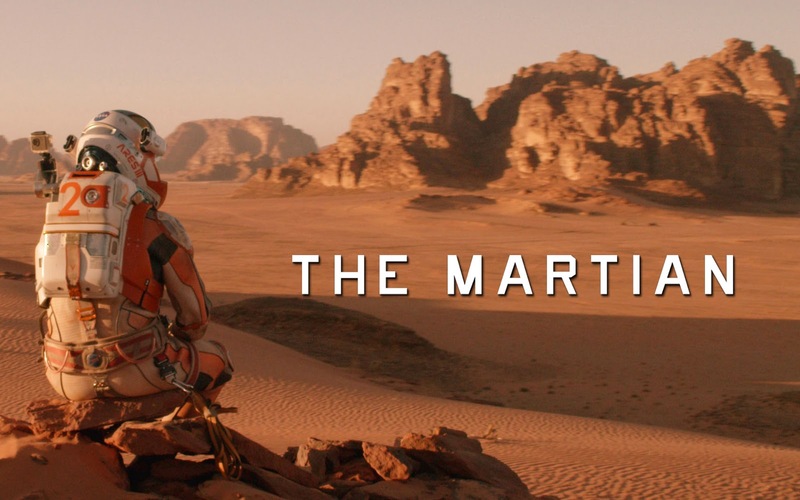 The Martian is a film adapted from the novel by Andy Weir with the same title. Before watching could think that this film will be complicated and pure sci - fi like Interstellar, Gravity or movies that previously had also directed by Ridley Scott, Prometheus. But it turns out I was wrong. The film is pure drama with the theme of outer space that is strong enough. Mission 3 Ares expedition led by Captain Melissa Lewis (Jessica Chastain) must fail because the storm is quite exceptional in Mars. Captain Melissa Lewis along with his crew were ordered to leave Mars and headed for earth. But unfortunately, they have lost one of their friends because of the storm, Mark Watney (Matt Damon). Mark suspect died, but in fact Mark was still alive in the uninhabited planet. Mark tried to survive with what is left by his team on the planet. While his team had to travel home from Mars to Earth, NASA captures signals when Mark Watney still alive. NASA was trying to communicate with Mark. After learning the news, NASA also intends to pick up Mark and bring him back to earth. However, the distance of the earth so far as to make the NASA Mars takes long enough to pick up Mark. Will NASA managed to bring Mark back? Watch his own film. In terms of story, the film is very lightweight and easy to understand compared Interstellar or Gravity. So, for you who do not like sci - fi with a complicated story, you can watch movies on this one. The film is also not pure drama, Readers. 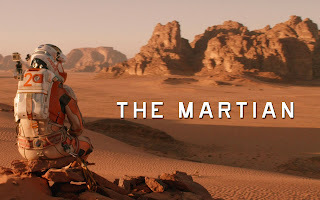 The Martian inserted with various jokes to make you smile while watching this movie. For players acting not in doubt is yes. Actor who played in the film is mostly already been played in the film - great movies, you name it: Matt Damon, Jessica Chastain, Kristen Wiig, Jeff Daniels and the Eddard Stark in the TV series Game of Thrones, Sean Bean. They are so playing nicely and in proportion to their respective characters. I also want to give applause to Matt Damon. Besides acting is so good, Matt Damon also had to manage the body for the film The Martian's. Cool deh Matt Damon. And, when he saw Damon, I was reminded at Tom Hanks in the movie Cast Away. So, for you who like the same movie-themed sci - fi or survival, you have to watch this film. Not only can you enjoy the visuals of the film, the message to be conveyed by The Martian is also great and can make you become more excited when stuck in one big problem.